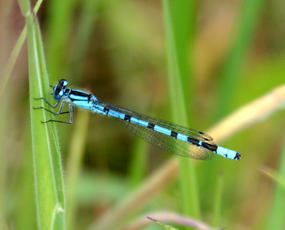 A medium-small damselfly. 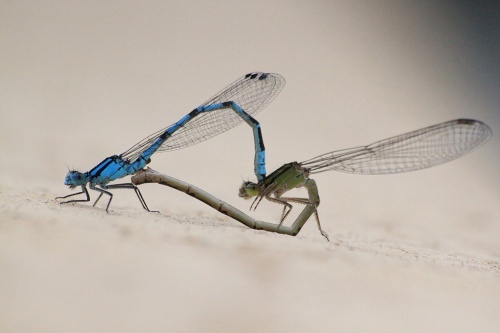 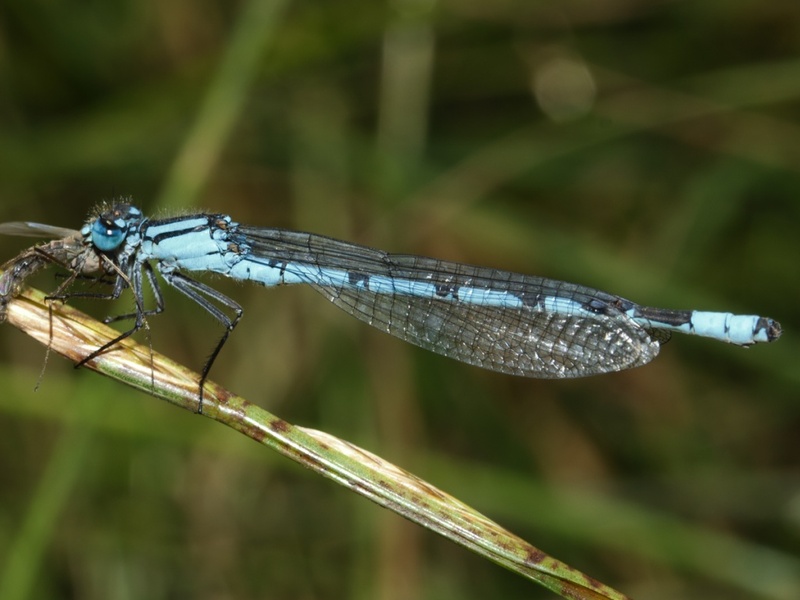 It can be distinguished from other blue damselflies by the thick blue stripe on its thorax. 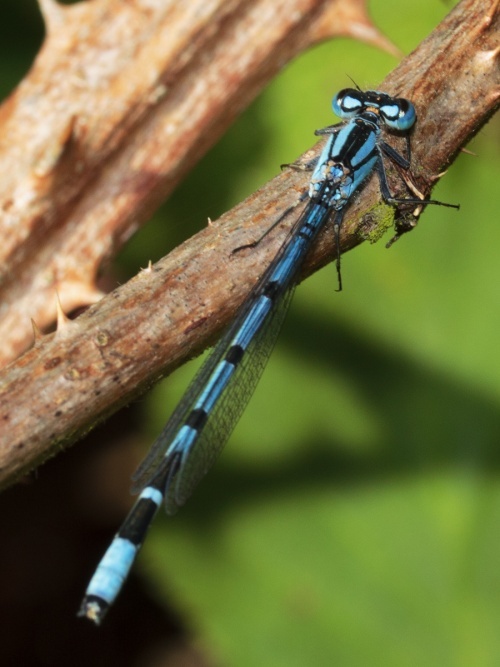 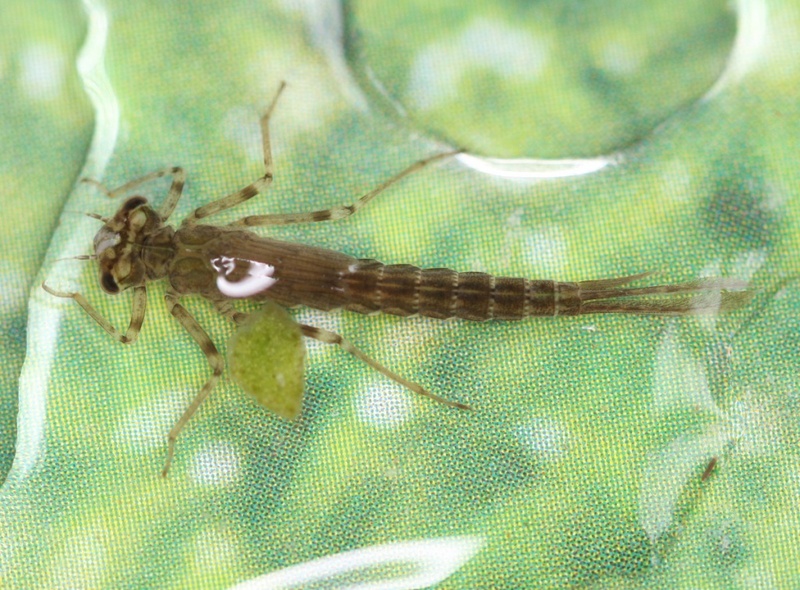 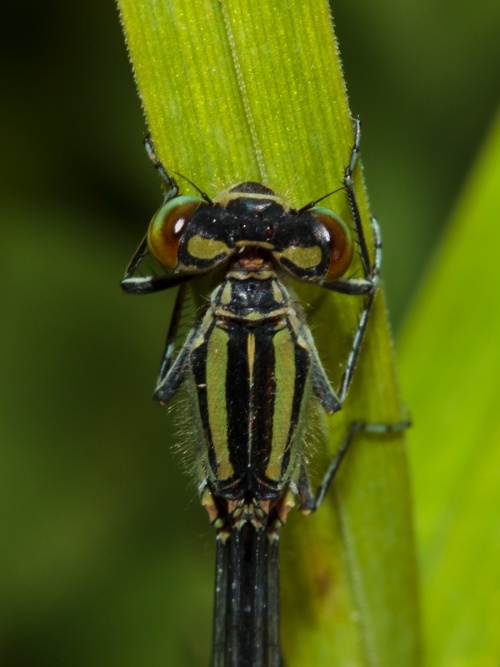 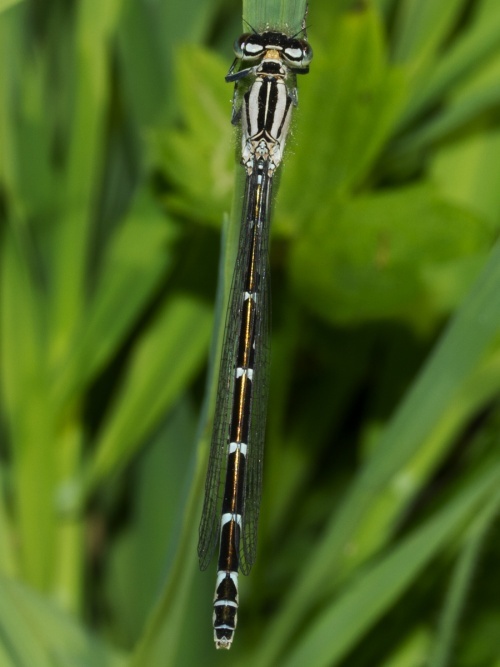 The other common and similar damselfly, the Azure, has a much thinner stripe. With a little practice, it is relatively easy to pick out this difference in the field. 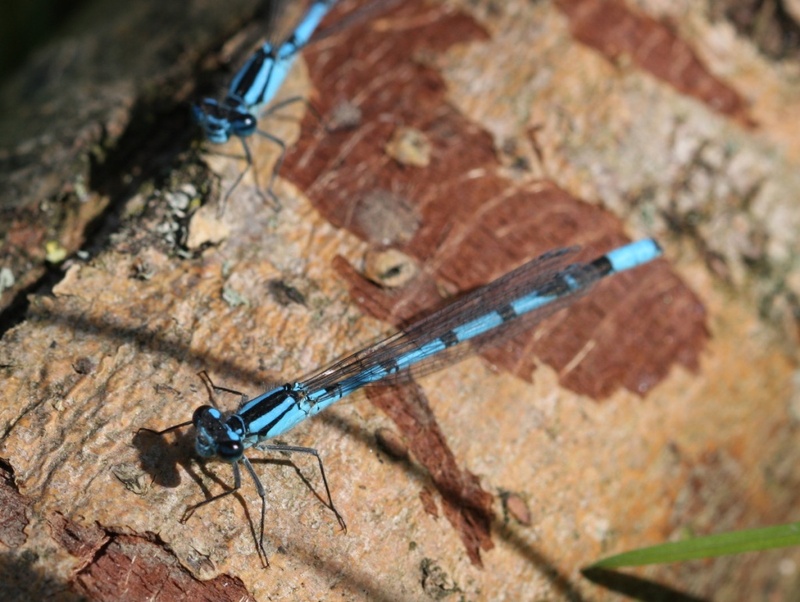 Mature females have three colour forms: 'blue', 'brown' (which is often yellowish-orange) and typical (greenish). The males are a drab pink/purple when just emerged, taking a few days to become blue. However they can be distinguished from females by having solid blue on the bottom 2 abdominal segments. 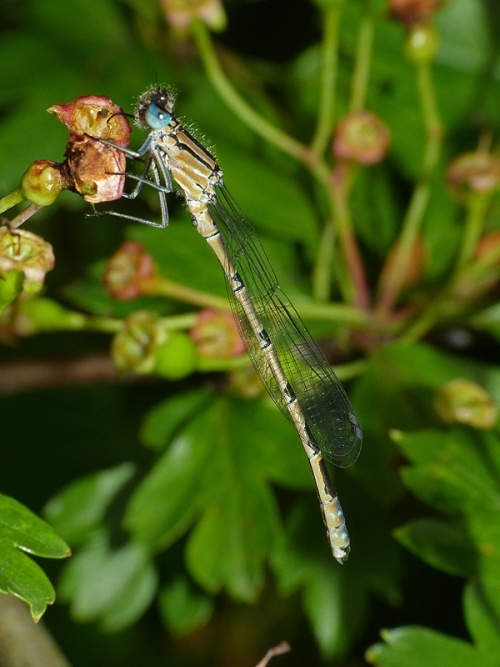 It favours open water habitat such as large ponds, lakes, canals and rivers but adults can be found away from water in shady spots such as woodland rides. 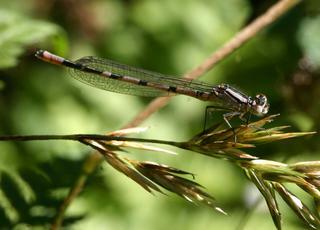 It flies from May through to September. 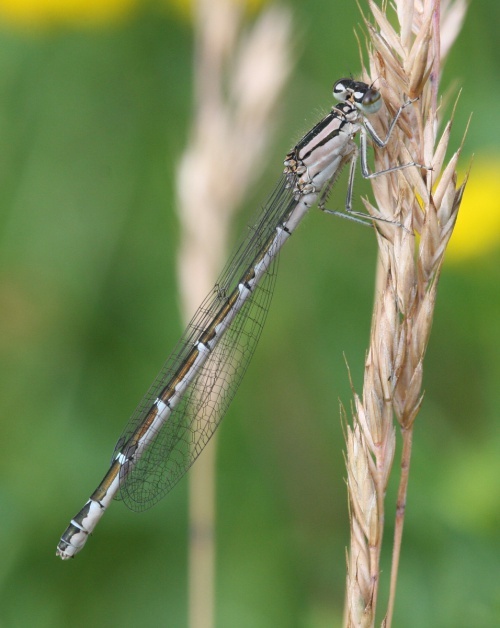 Widespread and fairly common throughout Britain. 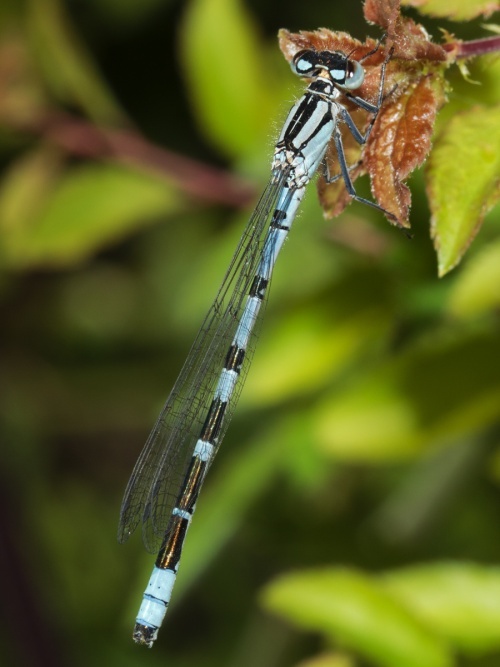 Common and widely distributed in Leicestershire and Rutland. 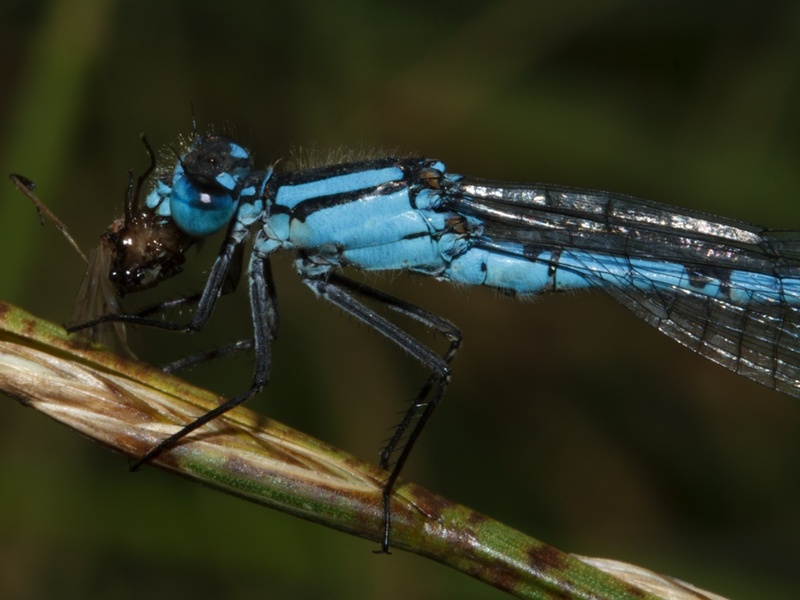 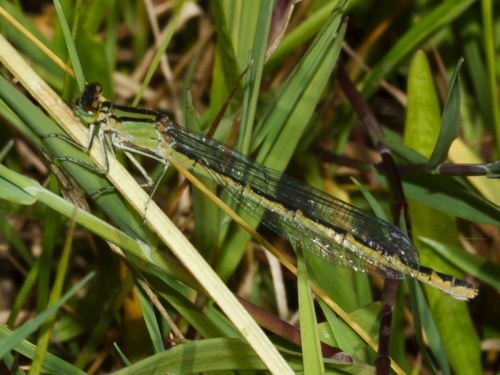 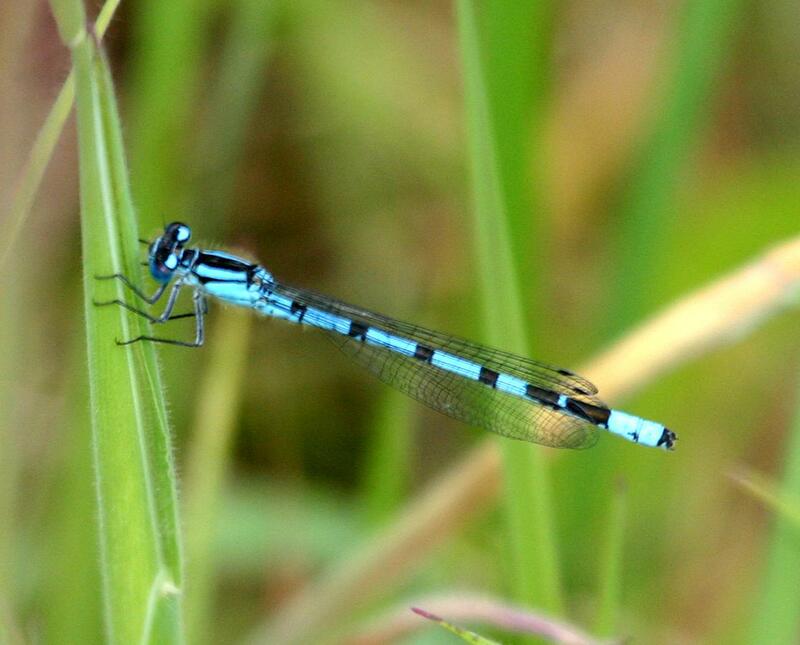 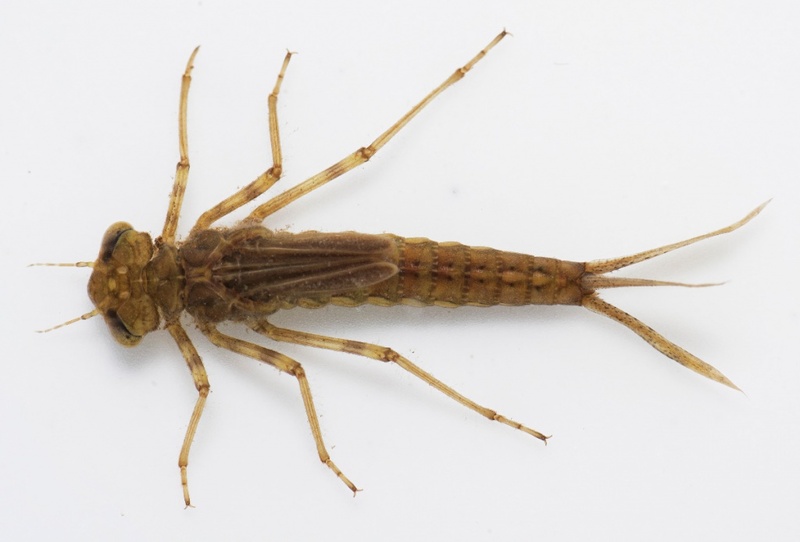 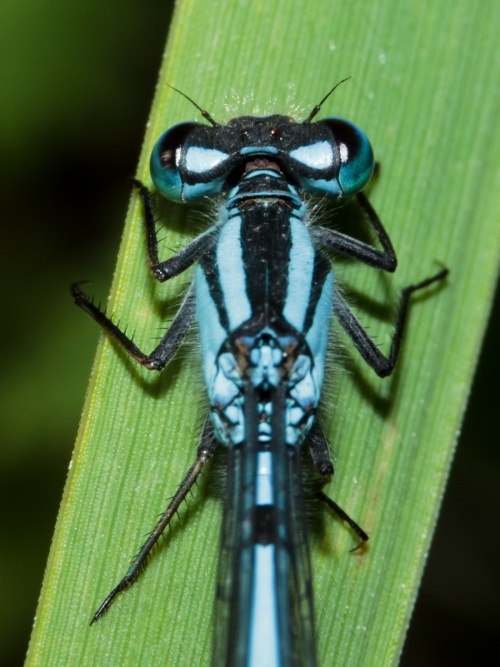 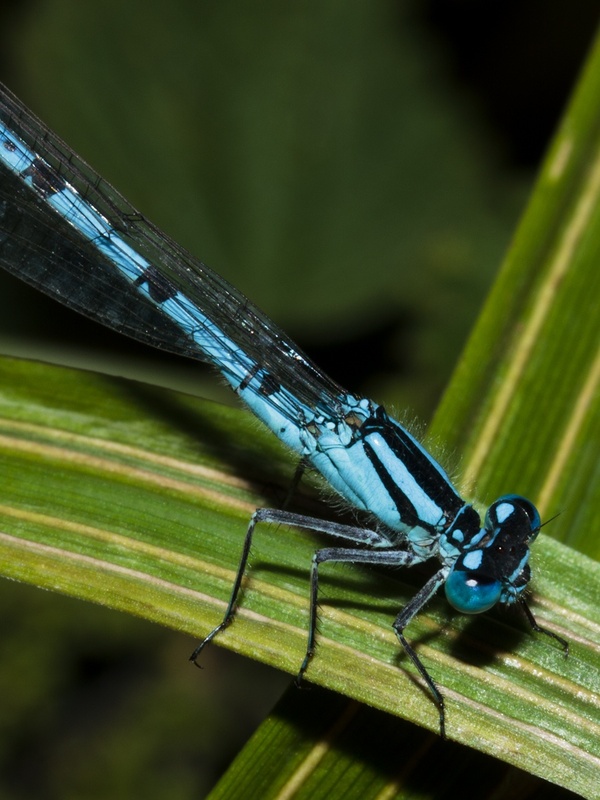 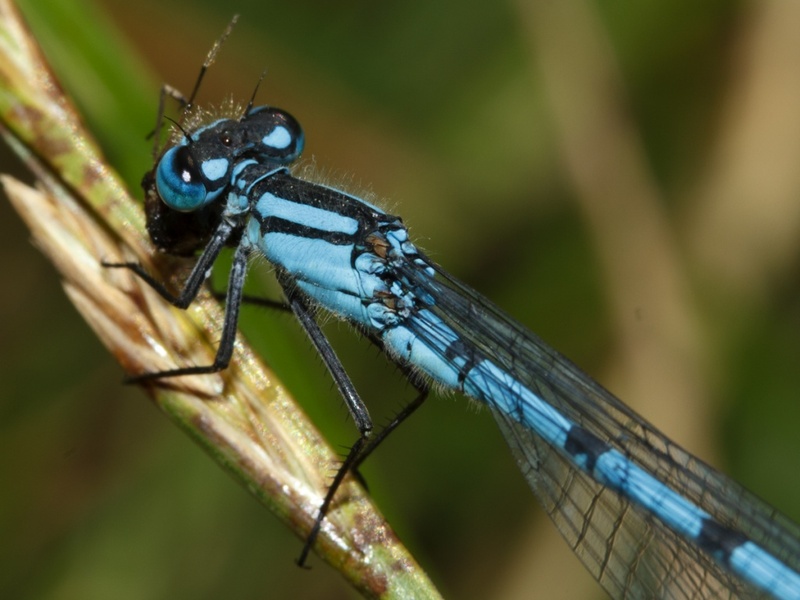 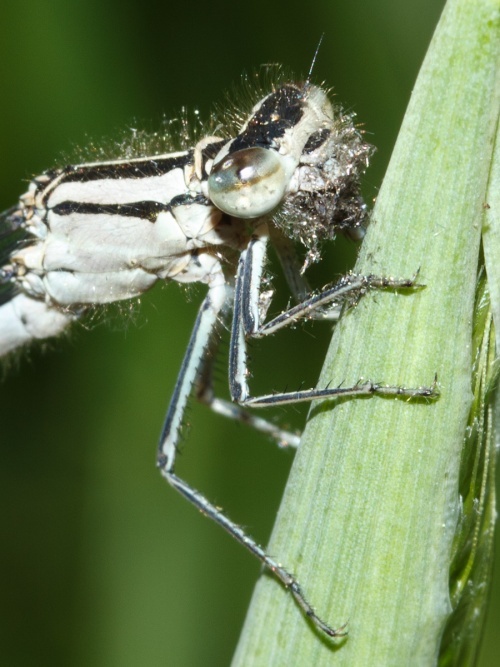 Another species widely distributed in VC 55, the Common Blue Damselfly favours open water habitat such as large ponds, lakes, canals and rivers. Historic records suggest that this species has always been widespread.